Thank you for finding your way to DeanRead.net, whether it was via google, twitter, facebook or just by sheer luck alone. This is my personal blog where I write about all the things i’m interested in and the hobbies that fill my free time. In short… I’m a father, walker, wildcamper, bushcrafter, cyclist, music lover or whatever term best fits the day. If you would like to get in touch for any reason then I can be reached by any one of the following methods. Contact Me Here, via Facebook or Twitter. About me… where to start. I suppose this sort of subject is one of those essentials for a personal web blog, I’ll stick to the facts firstly. I was born in Sydney Australia and I now live in England near Chesterfield in Derbyshire where I have spent most of my life. Over the last 15 years I’ve been back to Australia numerous times to visit family and travel around. At the moment I am trying to make the most of every day, learning as much as I can, seeing and doing as much as is financially possible. From Mountain Climbing to Bushcraft, Any adventure will do. I’ve always been a big fan of the outdoors, I spend a lot of my free time indulging in my passion for walking and wildcamping. I’ve walked in places all around the UK from Snowdonia, Lake District to the Highlands of Scotland. I’ve hiked in Tasmania in Australia and walked in the French Alps in summer. I’ll happily give anything a go, do anything, go anywhere. I love long distance treks or heading out in to the hills but I’m equally as happy exploring the local trails around where I live. As I’m based near Chesterfield in Derbyshire the majority of my walking time is spent in the glorious Peak District. I feel very lucky to live in such close proximity to a fantastic area in which I can explore and learn. I’m passionate about the Peak District to such an extent that I’ve set up another website dedicated to my exploration and enjoyment of the area. You can find that site by visiting PeakRoutes.com. Two of my biggest passions are videography and music production. I really enjoy heading out to document my adventures no matter how big or small they may be, I make videos for YouTube and create the soundtracks to go with them. I shoot footage with a Canon 7D, capture aerial shots with a DJI Phantom 4 and the music is made with Propellerhead’s Reason. I work in the medical industry but as you can probably tell spending time outdoors is my real passion. My dream would be to have the financial freedom to travel the world while documenting it. So if any companies fancy sponsoring me then give me a call 🙂 haha. In reality though, I’d love to lead walks in the Peak District or further afield. Ok, Thats enough about me for now. Once again, thank you for visiting my website. If there is anything else you would like to know or ask then please don’t hesitate to get in touch. been watching your Vlogs ,thanks for one of the most interesting sites on the tube.IMO we are off to Eyam inmay just watched your 2015 vlog on that and downloaded the gpx files to my GPS thanks for that.Realy looking forward now to our hols celebrating golden wedding in the peaks .we love walking and have done the tree peaks, southdowns way ,and pedders way which is 15 mile from home. Really enjoying the vlogs. Have been running through them for a couple of weeks. Still about 3 years behind present. Interesting to see back in time with the west highland way video. Have loved the peak district since discovering it whilst at sheffield uni. Keep going back as it is one of the most accessible areas of upland for someone who lives south of bham. Love your presenting style, natural and you clearly love being amongst the green stuff! Keep it up! Thank you for your kind words and for taking the time to head over to comment. I’ve just been looking at the 2011 West Highland Way pictures again today as I’ve been backing them up to Google Photos. That was an amazing trip 🙂 Thanks for watching the videos. Live in Derby myself so love going into the Peaks when time permits. Just wondered if you’ve encountered any decent wild swimming spots that’s fairly untraveled? Would like to give wild camping a go and get a good few days out but always unsure as to exactly where you can set up and that. There are a few places for wild swimming in Bradford Dale that would be nice and secluded. Thanks for watching the videos. Just found uour You tube channel today Sunday 8 October. Really good. Would love to do this kind of stuff myself someday. Like to film and take photos ( not very good at it but enjoy it non the less) Not a clue how to do timelapse or long exposures or any thing like that. Would be great to see how you do it.keep up the good work mate. High Dean, stubbled across your vids on you tube, absolutely love the Peak but don’t get out as much as I used to, watching your vids has got the fire burning again to get the boots out and get to the Hope Valley once again…. Thanks for watching the videos, so glad they have helped in part to getting you back out there again. Thank you for taking the time to head over here to leave a comment, much appreciated mate. I’ve only recently discovered your videos on YouTube and I have to congratulate you on both the high level of presentation and content you put into them. I have really enjoyed watching and also a lot of love for the great outdoors, particularly the Peak District! I’ve done some hiking in the peaks with the school I work for (Edale) as I too live close by in nearby Staffordshire. It would be great to join any of the walks you lead or are organising in the foreseeable future, also the wild camping too. 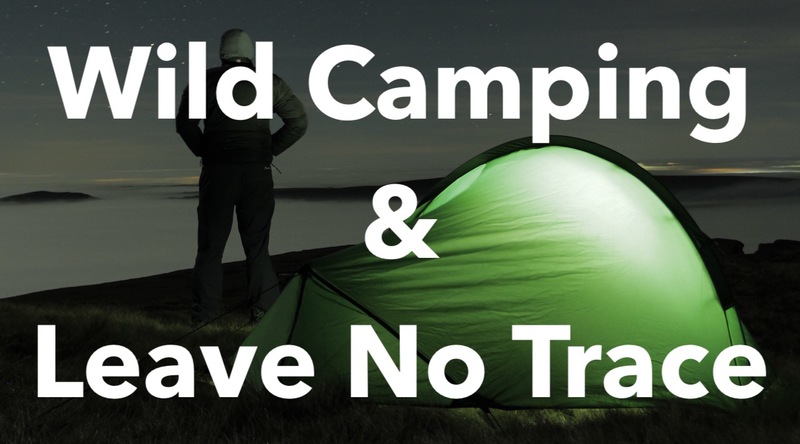 I’ve never used a tarp but always looking to experience the new and untried outdoor adventure. If you could drop me a link to any information or website to possibly get involved in any of your hikes that would be great, in the meantime keep up the truly excellent videos and the superb music you’re creating.. Great work. All the best mate, safe trekking! Firstly, I really enjoy your videos and I think it’s great that you, Ray and Jay bother yourselves to record your outdoor experiences. Keep it up! Secondly, I think that you mentioned in one of your videos that you have permission to wild camp at your regular spot. I am interested in how you went about this as I am looking to secure a more “kosher” spot but need to gain permission first. Thanks for watching the videos. On our first ever trip to the forest we bumped in to the farmer who owns the land / woods so asked him if it would be OK. People have been using that forest for years and years, we we were just going to turn up and camp but as we saw the farmer we thought we’d better ask. We had all our kit on our backs so it looked pretty obvious what we were intending to do at the time 🙂 hope you have luck with getting a place yourself. Dean, just watched your vid on the Zephros 1 before I pitch it first time. Thank you.